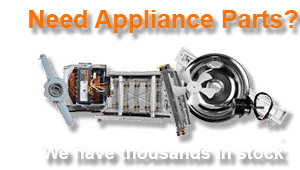 We do professional appliance repair in Jefferson County, Oregon! 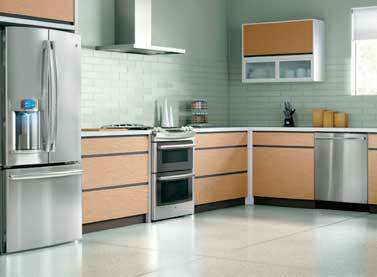 Our company provides professional appliance repair in Jefferson County, Oregon. We service all brands and models of appliances. For example Asko, Bertazonni, Bosch, Dacor, DCS, Electrolux, Fisher&Paykel, Frigidaire, GE, Jenn-Air, KitchenAid, La Cornue, LG, Liebherr, Marvel, Miele, Perlick, Samsung, Siemens, Sub-Zero, Thermador, Traulsen, True, Viking, Whirlpool, Wolf and many more. Our highly skilled technicians are all factory trained and certified. They will be able to solve any problem you might encounter with your appliance. For appliance repair in Jefferson County call us at 541-948-8835 or fill out our short online contact form. Our tech will be on his way to your residents. He will be ready with all the parts and equipment necessary. As soon as our technician arrives, he will get down to business. Our tech will take apart your broken appliances, clean it and do troubleshooting. He will quickly determine what needs to be done. Sometimes the problem is easy can be solved fast but often parts will be to be ordered. Depending on how long you have to hand your appliances and how often it has been used parts often deteriorate. We can order genuine, high-quality parts from the manufacturer of your particular appliance for you. We try to expedite the prosses so that we can install those parts as soon as possible. And when we do install we do a thorough and highly professional job. The last thing we want is repeat problems for you. We are your best choice in appliance repair Jefferson County. Our highly professional and skilled technicians have both and experience and training necessary. In fact, we get our training from the factories that produce a majority of those appliances that your own. We deal with all brands and models of both kitchen and laundry appliances. It does not matter how old your appliances are and how broken. We will always be able to find the right solution for you. Our company strives to give you the best results possible at the very reasonable price. And we make it all easy with flexible, convenient service appointments. To schedule an appointment for appliance repair in Jefferson County please call us at 541-948-8835 or fill out our short contact form. 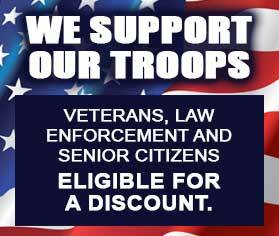 We will be happy to set up a convenient appointment for you. Our friendly and highly skilled technicians will soon be on their way to repair your appliances.We serve Bend, Eugene, Crook County, Deschutes County, and Jefferson County. We do professional appliance repair in Jefferson County, Oregon. Our company has more than 30 years of experience repairing, installing and maintaining all brands and models of appliances. Our technicians are all factory trained and certified experts.